This is the all new G class. No really it is. 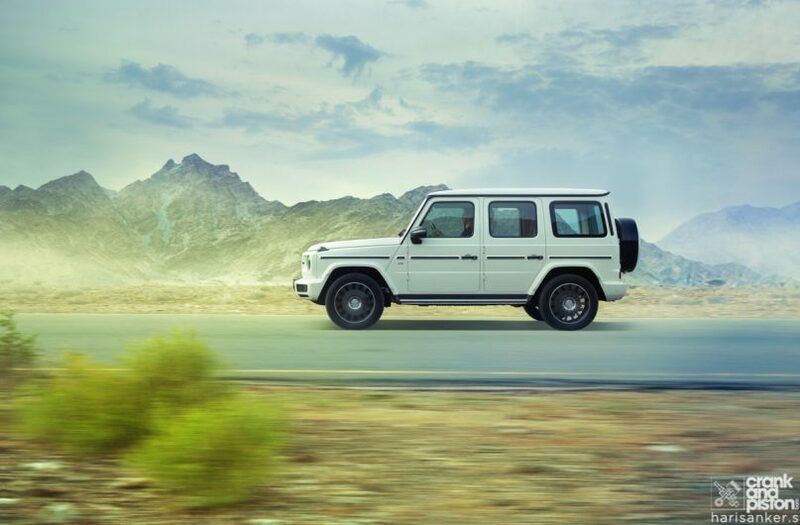 I know, I know, it may not look like it and the terms “all-new” and G class don’t usually go hand in hand but this is the first major redesign in the vehicle’s 40 year history. In fact all the body panels, the interior and transmission are new on this model. 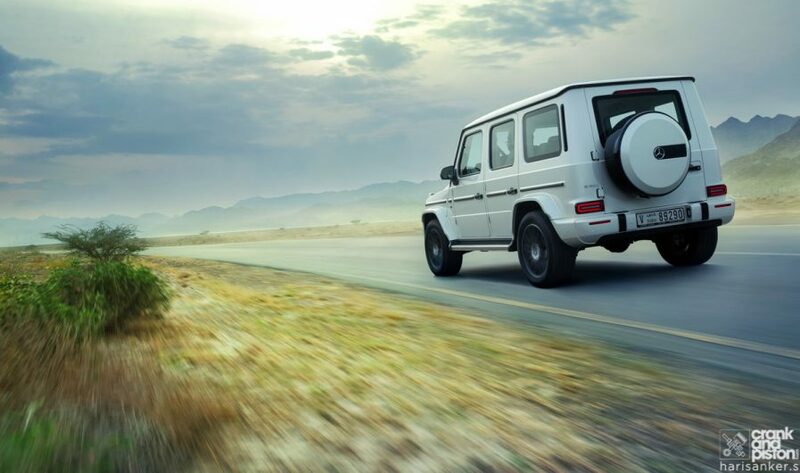 The average person wouldn’t notice that because the exterior is still boxy, and maintains all the G class iconic design cues, from the exposed door hinges and indicators on the wings, to the spare wheel stuck on the back and old-fashion door handles. But in the flesh it does look different. It is more menacing than the previous generations helped in no small part by the wider stance (6.3 cm) and longer body (5.3 cm) which enhance its proportions. Between you and I, the circular LED lights are your main visual identifier so stick with those to figure out new from old. But to really get a sense of how different this new G is, you need to step inside. As you attempt to climb into the car you expect an A-Pillar grab handle to help you get in but there is isn’t one, and as a result I find myself awkwardly lunging into the vehicle while passersby look on with amusement. Shaking off the comical show I just put on for them, I gently close the door and.. nothing happens. You don’t gently close doors in a G class, you SLAM doors shut. This still feels like the old guard. But then you are greeted by the digital screen waking up and an animated G500 flashing its headlights at you as if saying: I see you, handsome. This is getting better and I begin to soak in the majestic interior. It is more like the S class than anything else in the Mercedes range right now and a massive departure over all previous generations. 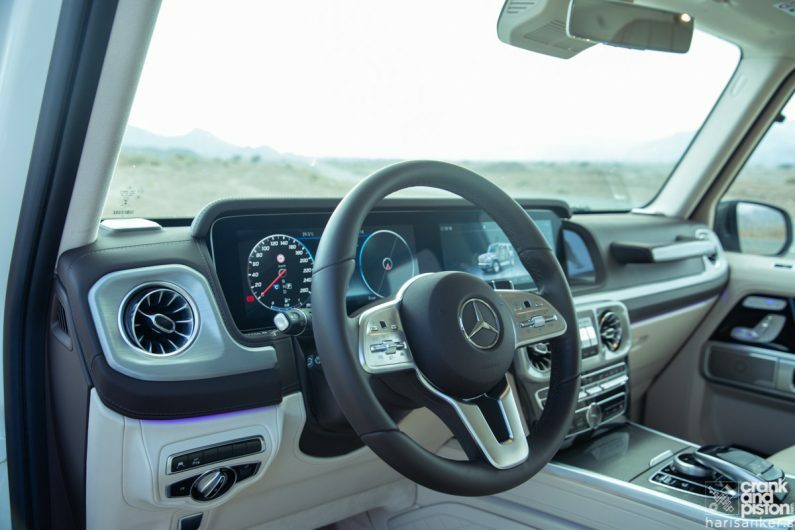 The interior is marked by 2 huge digital screens, one displaying the customizable digital driver dials, while the other showcases the main Mercedes multimedia platform. Speaking of which, I was never a fan of the I-pad screens grafted on previous Merc dashboards, this is a way better interpretation and it is class-leading. This is not the latest Mercedes Benz multimedia system though, but it is still very intuitive and I prefer it over BMW’s idrive. 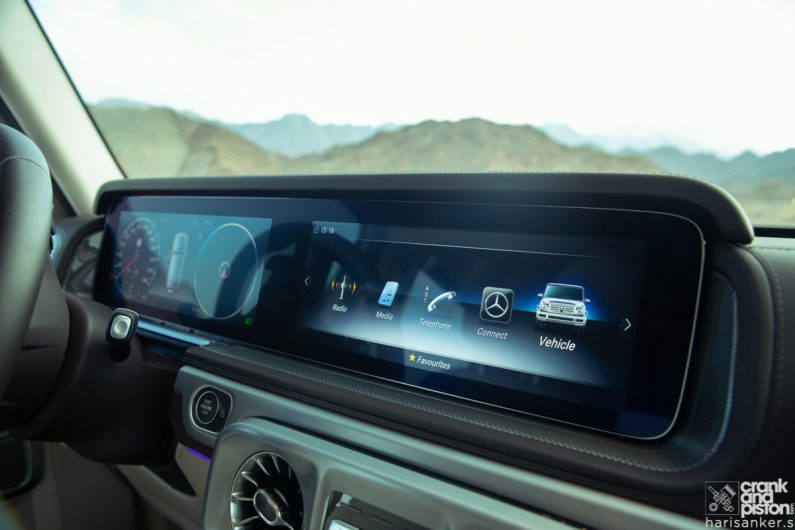 The infotainment system is managed by an updated wheel and touchpad on the center console, and through new mini-trackpads on the steering wheel, a very tactile new interface. Android Auto and Apple Carplay are standard. You are provided Mercedes branded USB-C and Apple recharge cables, but plugging your phone in means having to leave your device inside the center cubby, which I found strange (you get wireless charging in the center console in the new BMW 5 series). The command drive position is unchanged and imperial. There is a clear sense of occasion in here with Designo quilted door inserts, diamond stitched seats, soft nappa leather everywhere and changing ambient lightning. It is a very modern and high-quality interior. The air-cooled seats are very comfortable although I struggled to find lumbar support buttons around the seat or on the door, oh wait, this ain’t your dad’s G class… This is in fact managed via the infotainment menu and once you dive into the Active Multicontour Seat menu you can control active side bolsters that keep you in place in tight corners and… aah… massage seats… these alone are worth the price of admission with close to a dozen massage modes to choose from. 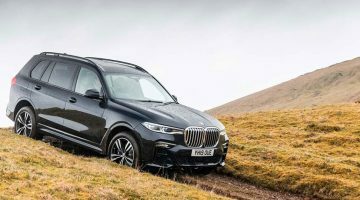 It is not however a 7-seater, you’ll have to stick with the GLS for that. Press the start button, and the legendary G sound invades the cabin. A loud ignition boom that settles into a bassy burble. Is this a G500 or a G63? 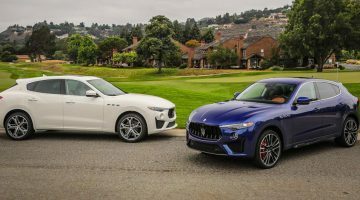 No wonder I feel this way, the G500 shares the same 4.0 liter turbocharged engine with its G63 sibling, but “detuned” to produce 416 horsepower and 450 lb-ft of torque. This is orders of magnitude more than the measly 70HP the G offered back in 1979! And it feels like it. Feeling smug, I pull away only to get startled by the door lock sounds which feels like a 50 Cal sniper rifle just got reloaded in my ear. Stay humble. With the bonnet rising, gaining velocity in a large SUV is always a profound experience. Despite the +2.5 tons this thing goes! Surprisingly on the highway there’s a bit more wind noise than I would have expected in this reworked G Class. But it doesn’t matter, because I find myself looking for excuses to slow-down and accelerate just so that I can listen to the hovercraft sound of the engine and enjoy the elastic powerband. Because of the high and upright driving position it feels faster than the claimed 5.5 seconds 0-100 km/hr. At low RPM there is some turbo lag but once you hit 1,500 rpm, you are catapulted forward. Geez, how much quicker can the new G63 be? AMG was involved in the development of both the G500 and G63, and it shows. 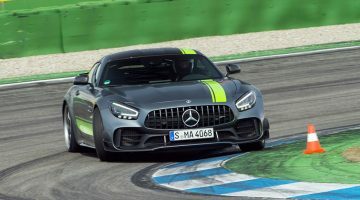 The car still dives, sways and squats like a speedboat, and breaking at high speeds remains a nerve-racking experience requiring bulky right thigh muscles (it does have auto-emergency breaking), but this is a much improved ride experience. Mercedes has cut down 150 kg in weight with the hood, doors and fenders in Aluminum. That along with the independent double wishbone front suspensions means that the handling has improved and there is less leaning into corners. The trade-off is stiffer suspensions but regardless the setup is compliant and composed. Entering quickly into a roundabout will still run the car wide but its predisposition is benign, and the car quickly finds its line. You don’t hold onto this car like you did with the old wobbly one, you DRIVE the new G500. it in eco-mode. Me, I only drive in Sport mode which makes it angrier, sharpens the shifts and throttle response, and enhances the sound of the side exhausts. 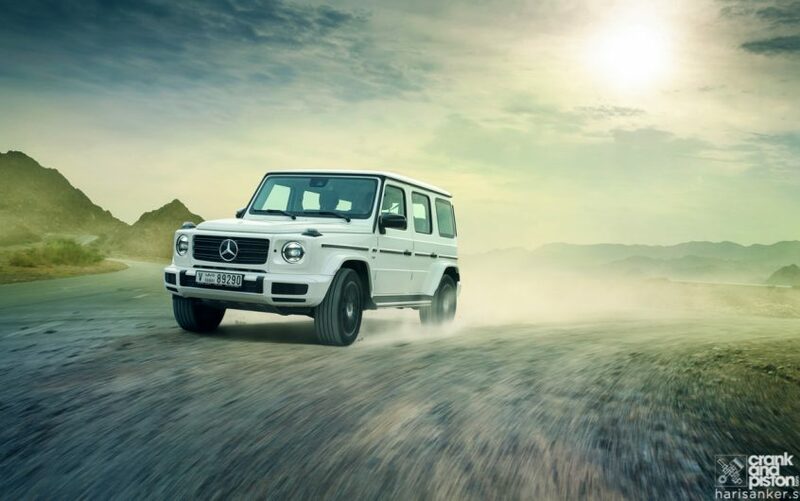 In this new age of politically correct electric vehicles, the Mercedes G500 shouldn’t make sense at all but to me it makes all the sense in the world. Despite being modernized it remains a unique car and I love it to the point that I am already dealing with separation anxiety.